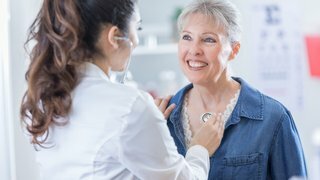 There hasn’t been a major breakthrough in the treatment of heart disease since the 1970s, when two University of Texas Southwestern Medical Center scientists discovered the low-density lipoprotein (LDL) receptor, which controls the level of cholesterol in the blood and in cells. Their discovery led to the development of statins, which are now used daily by millions of people to help reduce the effect of the accumulation of harmful fats in the circulatory system that causes heart disease. 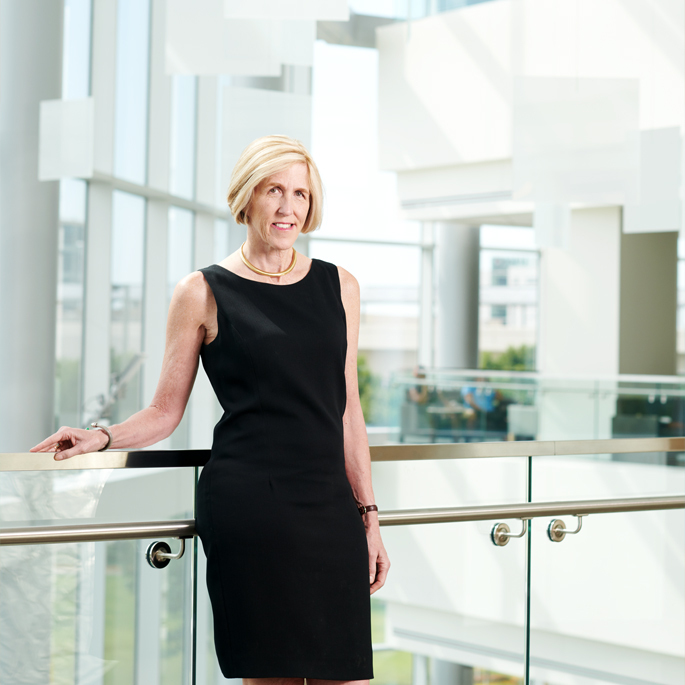 At the time a young medical doctor named Helen Hobbs began working in Brown and Goldstein’s molecular genetics lab at UT Southwestern in the 1980s, the best answers doctors had for the prevention of heart disease were behavioral: Don’t smoke; watch your diet; avoid fatty foods and food containing large amounts of bad cholesterol; exercise regularly and take statins. It was not clear what role blood cholesterol levels had relative to other risk factors in the development of heart disease. This was a question that Hobbs answered. In 2003, a geneticist in France found a genetic connection between families with high rates of heart disease and a newly identified gene called PCSK9. For Hobbs, the timing of the PCSK9 discovery was serendipitous. In 1999, she and her research partner at UT Southwestern, Dr. Jonathan Cohen, along with Dr. Ronald Victor, had launched a study to create detailed physiological profiles of 3,500 individuals living in the Dallas area in an attempt to create a searchable, sortable database of a wide variety of medical phenotypes. When Hobbs read about PCSK9, she and Cohen guessed that they might find similar connections between heart disease and the PCSK9 gene in their study participants. But with such a small population, it was highly unlikely that they’d uncover a genetic profile in their database that would revolutionize our understanding of heart disease. But everything about Hobbs’ path to her discovery was unlikely. And her insight proved to be wildly rewarding. She and Cohen found that 2 percent of African-Americans in Dallas had a mutation in PCSK9 that inactivated the protein, an anomaly that correlated with a markedly lower plasma cholesterol level. They discovered that this group was protected from heart disease, despite risk factors like smoking, diabetes, and hypertension. Hobbs’ research earned her the Breakthrough Prize in Life Sciences and blew open the field of cardiovascular science. The discovery paved the way for the development of a new strategy to prevent heart disease, based on this one genetic trait that Hobbs had found. It was already something of an accident that Hobbs was in Dallas working in a genetics lab. The Boston native attended medical school at Case Western Reserve University before interning at Columbia University Medical Center in New York City. As a young doctor passionate for clinical care, she loved the pace of the hospital; the constant challenge; the thrill of dozens of medical puzzles a day. The lab, with its slow march toward medical understanding via one grinding experiment after another, never even entered her mind as a career path. Then Hobbs met her late husband, Dr. Dennis Stone, at NewYork-Presbyterian, where he was a resident when Hobbs was an intern. 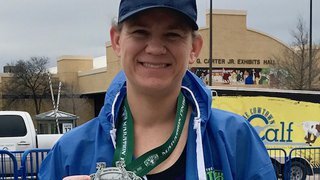 When Stone decided to continue his training at UT Southwestern, where he had been a student, Hobbs came to Texas to see if it was a place she wanted to be. 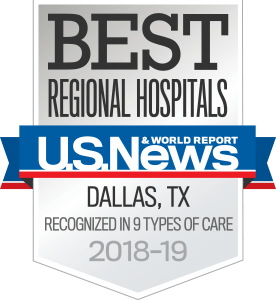 Hobbs was attracted to Parkland Hospital, a large county institution connected to the University that offered her the opportunity to be surrounded by a vast number and variety of patients. At UT Southwestern, Hobbs also met the late Dr. Donald Seldin, UT Southwestern’s “intellectual father” who is largely credited not just with the rapid growth of the Dallas institution, but also for a revolutionary approach to humane medicine — and a marriage of scientific research, academic pursuit, and clinical care — that made him one of the key voices in the 21st century’s shift toward patient-driven medical practice in the U.S. Hobbs was impressed. She liked the tone Seldin set on the medical campus, one that was open and engaged, willing to take risks but also rigorously devoted to science. Something of Seldin’s direct style seems to have rubbed off on Hobbs. She is tall, with blond hair cropped about the chin and eyes that widen as she talks. She has an intense, infectious energy about her. She gesticulates with her hands as she talks, leaps up to dig out information from files or to pull up illustrations on the computer. Her rapid speech still belies a hint of a Boston accent, and she is quick to volunteer comments about any topic that zooms past her attention — medicine, the state of the city of Dallas, preparations for an upcoming event at the Medical School, or how to give a eulogy at a funeral. Hobbs’ team of scientists sent 50 people out to knock on doors and ask about the family histories of Dallas residents. They amassed a database of detailed medical profiles on a small but critical cross section of the population, and began isolating individuals in the hope of finding patterns. 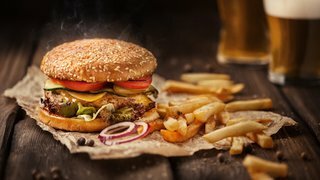 Could any of the Dallas Heart Study participants be benefiting from a mutated gene that could result in low cholesterol? She and Stone married in 1980, and Hobbs continued her residency at UT Southwestern. She was still planning to practice as a physician until Seldin approached her and recommended she go into a lab. Hobbs wasn’t convinced it was the right career path for her, but she respected Seldin enough to heed his advice. When she started looking for a laboratory in which to train, she floated the idea of joining an obstetrics lab that she thought was doing interesting work. Seldin wouldn’t hear it. In the early 1980s, the best was the lab of Dr. Michael Brown and Dr. Joseph Goldstein, who were just a few short years away from winning their Nobel Prize. That Seldin believed Hobbs belonged in Brown and Goldstein’s lab was an honor, but after she began working there, she wasn’t immediately happy. She found the work tedious. She didn’t believe she was a very good scientist, and she feared she was losing her skills as a clinician. Then Hobbs had her first taste of what it felt like to make a breakthrough, participating in a study that uncovered gene mutations that inactivated the LDL receptors — proteins that regulate the clearance of cholesterol from the blood — that led to abnormally high levels of cholesterol. She discovered individuals who had the same mutation in the gene coding for the LDL receptor. Research for Hobbs became about more than experimental trial and error. Genetic research was an entrée into a larger story about the evolution of the human species. It was a story about the way our genetic markers are passed down through generations, expressed or isolated in cultural subgroups. And to answer the question of why any group of people displayed a certain genetic characteristic meant cracking a code that could have outsize implications for the future of human health. The Dallas Heart Study revealed that 1 in about every 50 African-Americans had a PCSK9 mutation. By 1999, Hobbs had established an independent laboratory at UT Southwestern, when another colleague, Dr. Sandy Williams, then the Chief of Cardiology, approached her with an idea. 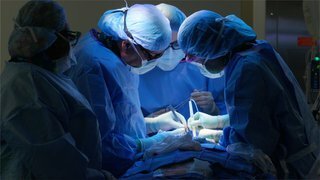 The Donald W. Reynolds Foundation, a charitable organization that funded capital grants to research aging and quality of life as well as cardiovascular clinical research, was offering a decadelong grant at a whopping $6 million per year to a single research center to work in cross-disciplinary cardiovascular medicine. They had six weeks to complete the proposal. To write it, Hobbs teamed up with Victor, a hypertension specialist, and Cohen, a young South African genetic biologist. Hobbs crammed into her office with Cohen on the fifth floor of a biology building and began to bang out a proposal. They knew that the largest and most distinguished medical research facilities in the nation would be gunning for the grant, and their chances of winning it were slim. To distinguish their proposal, they would have to take advantage of the flexibility and collaborative dynamic of their relatively young medical institution. 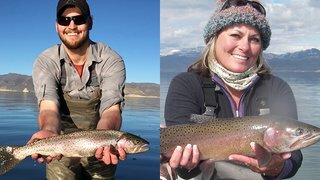 The first key to their proposal was an emphasis on genetic diversity. 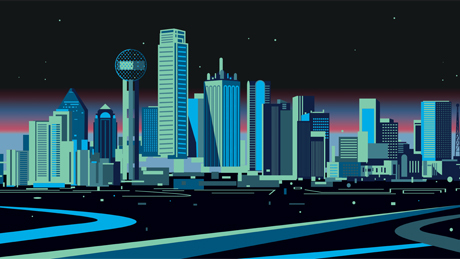 Dallas has a large multiethnic population, which is attractive to geneticists since the oldest populations, and African-American populations in particular, possess the most genetic diversity. In order to increase their chances of finding mutations that might yield revelations, Hobbs and Cohen designed a study that over-sampled from the African-American sector. They designed a longitudinal study — one with the flexibility to bring subjects back repeatedly to take new tests and follow up on any new developments, and to expand the subject base by bringing in family members of the initial subjects if any interesting mutations were found. 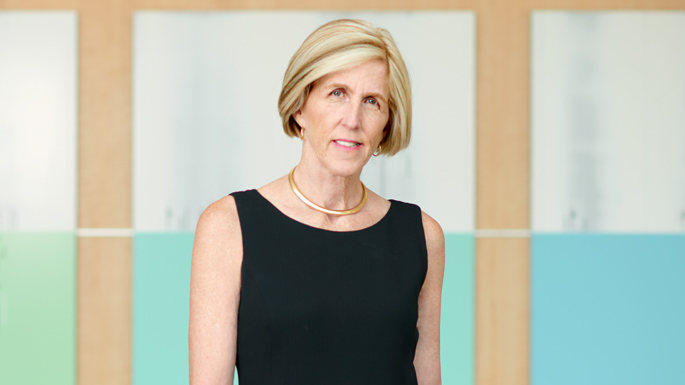 Dr. Helen Hobbs won the Breakthrough Prize in Life Sciences for identifying key genes involved in lipid metabolism and fatty liver disease. The second was an advanced and detailed approach to epidemiology. Most genetic studies seek to capture as large a segment of the population as possible, which can be costly and can favor the number of subjects over the quality of data collected from them. Hobbs and Cohen’s proposal instead opted to direct resources toward creating the most detailed subject profiles possible. When Hobbs decided she wanted to use an electron beam computerized tomography scanner that UT Southwestern didn’t have, she phoned the dean and asked him to commit to purchasing the million-dollar machine if they got the grant. He agreed. The final grant proposal told a compelling story of a medical institution coming together around a population-based genetic study of heart disease that would capitalize on its genetically diverse local gene pool and invest in collecting the most detailed medical assessments of any study of its kind. Hobbs and Cohen, joined by other colleagues from Dallas, flew to Las Vegas to present their proposal in the final round of considerations. They won. Over the next three years, the team sent 50 people out into the field to knock on doors and ask questions about the family histories of random Dallas residents. They narrowed down which household member might make the best candidate for the study, and when the subjects were chosen, they underwent an array of tests. By 2003, Hobbs and Cohen and a team of other scientists at UT Southwestern had amassed a database of detailed medical profiles on a small but critical cross section of the population. They began analyzing their data by sorting their subjects into phenotypes and looking for extremes in the distribution of various traits. The first trait they looked at was high-density lipoprotein (HDL) cholesterol levels, isolating individuals with the highest and lowest HDL levels and sequencing the genes in the hope of finding shared mutations. That’s when a team of researchers in France discovered several French families with hypercholesterolemia, a condition of extraordinarily high cholesterol, who all shared a similar genetic mutation. The French researchers isolated the gene, which produces a protein called proprotein convertase subtilisin/kexin type 9, or PCSK9. 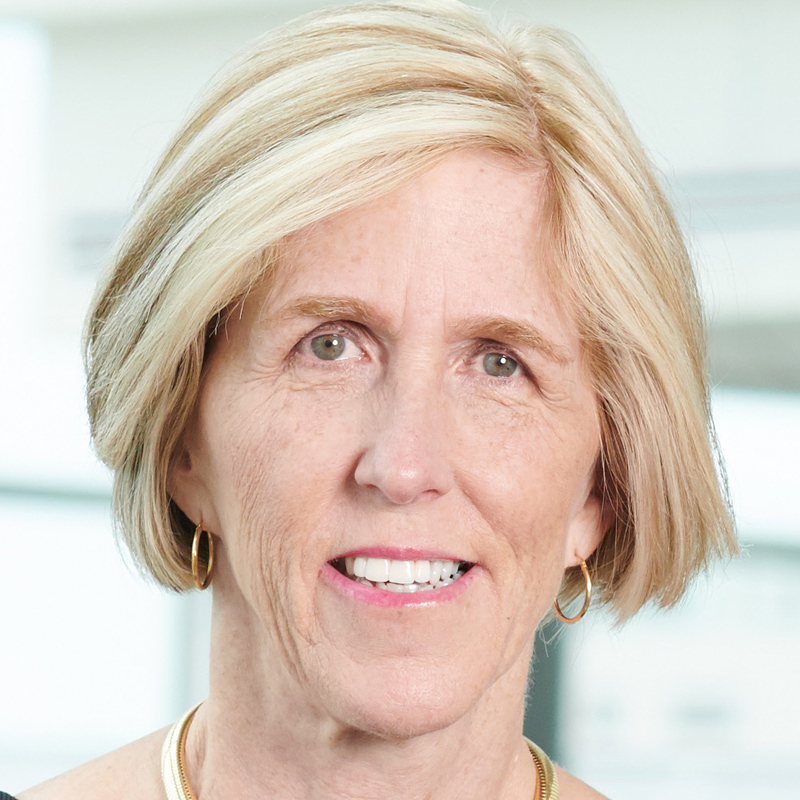 When they published their research in 2003, Hobbs wondered if she could find similar connections between PCSK9 and cholesterol in the participants in the Dallas Heart Study. If the French researchers found that a high level of PCSK9 is related to high cholesterol, Hobbs wondered, were any of the participants in the Dallas Heart Study benefiting from the opposite effect? 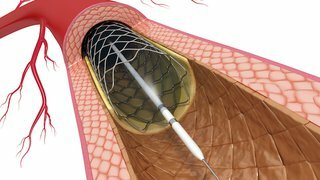 Was there a mutated form of PCSK9 that could result in low cholesterol? Another UT Southwestern scientist, Dr. Jay Horton, expressed the gene in the livers of mice and showed that the LDL receptors disappeared and the plasma level of LDL cholesterol increased dramatically. He concluded that expressing PCSK9 caused the cholesterol in the blood to increase. Hobbs and Cohen hypothesized that inactivating PCSK9 would have the opposite effect. To test that possibility, they sequenced the PCSK9 gene in the individuals in the Dallas Heart Study with the lowest LDL cholesterol levels to see if any had a mutation in PCSK9. It wasn’t long before they found something interesting. Among African-Americans, the population that the study had over-sampled, the scientists found that mutations in PCSK9 were relatively common. They found that one in about every 50 African-Americans had such a mutation. Not everyone who had the mutation had extremely low levels of LDL cholesterol, but individuals with the mutation possessed on average cholesterol levels that were 40 percent lower than the general population’s. What Hobbs and Cohen’s study had delivered was a direct correlation between the mutated PCSK9 and lower levels of LDL cholesterol. Hobbs and Cohen took this gem and used it to analyze the subjects in a similar heart study, conducted out of the University of Texas Health Science Center at Houston, that had data going back to 1987. With their collaborator in Houston, Eric Boerwinkle, they found that subjects in the Houston study with the PCSK9 mutation had dramatically lower rates of heart disease. To address this potential problem, they looked for someone among their subjects who had no PCSK9 and found an aerobics instructor in her 40s. She had inherited the mutated PCSK9 gene from both parents. Her good physical and mental health was an indicator that the mutated gene did not have major adverse health effects, at least in one individual. “I would not be in research if I hadn’t come here to UT Southwestern,” Hobbs says. Outside Hobbs’ office is a map tracking the locations of all the participants in the Dallas Heart Study, many of whom are now scattered around the country. On the opposite wall is a world map with photographs of the dozens of doctors and scientists who have worked in her laboratory over the years. Down the hall sits the lab of Brown and Goldstein. Near this very spot was where Hobbs, Cohen, and Horton hashed out their hypothesis about PCSK9 all those years ago. Behind the doors of that nondescript stretch of hallway lies the front line in the country’s ongoing battle to cure heart disease. What lies ahead for Hobbs, as she consults for the pharmaceutical companies working to develop new medications based on her discovery, will be seen in the years to come, as the future of cardiovascular medicine unfolds from this spot.